Neuchâtel (Switzerland), January 18, 2019: The Mission Winnow Ducati team, which will compete in the 2019 MotoGP World Championship, was presented today at the iconic Cube, Philip Morris International’s Research and Development centre in the lakeside Swiss town. 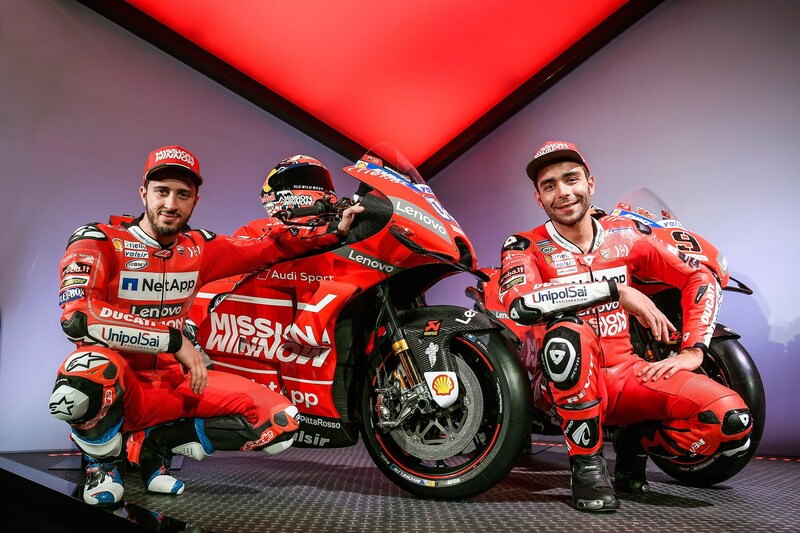 Riders Andrea Dovizioso and Danilo Petrucci unveiled the brand-new Desmosedici GP19 machine – in its captivating red livery – in front of an audience of international media, guests, sponsors and partners. Everything is now ready for an exciting new season, with the first of 19 races scheduled for March 10 in Qatar. In two weeks’ time, Dovizioso and Petrucci will resume testing action with the Desmosedici GP19 at Sepang (Malaysia).